I’ve been painting plein air oil paintings at south Florida beaches and despite some difficult conditions it can be a zen experience. Who wouldn’t want to paint in your bathing suit! 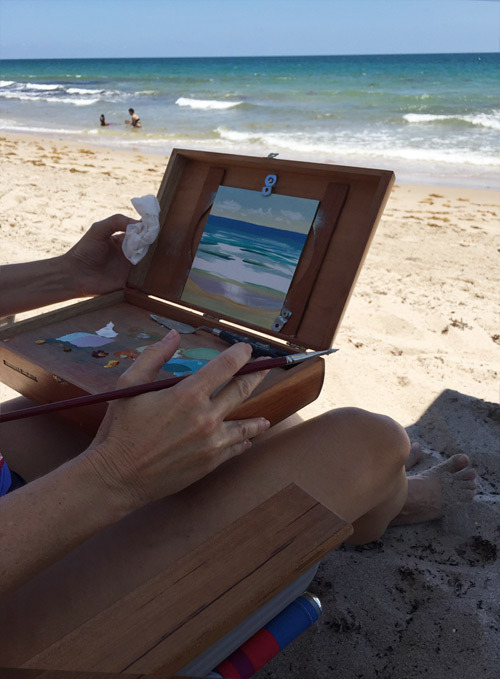 Below are some tips for plein air painting at the beach. The Zen of Painting at the Beach. 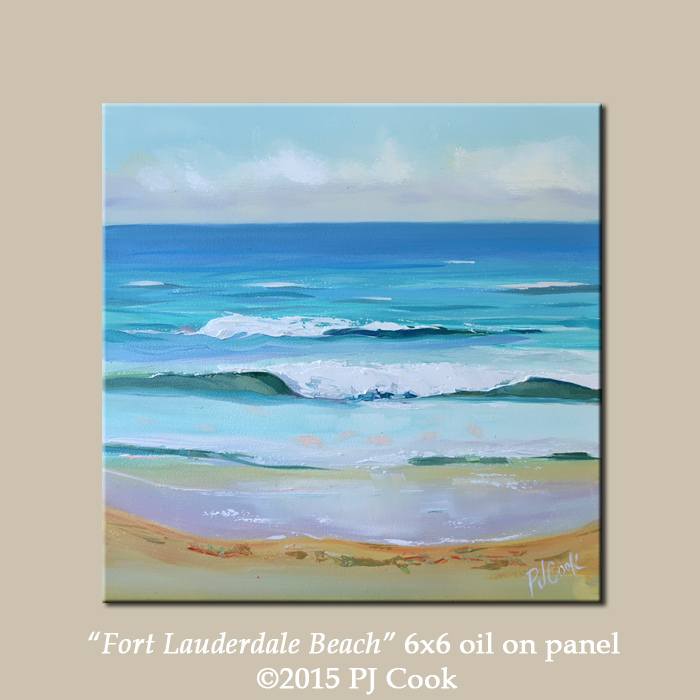 PJ Cook painting the ocean waves. Take time to plan your supplies and above all have fun! I’m using the pochade paint box that I made from a cigar box and it can be seen in the photo on the right. So far I have set it on my lap and it has worked well. In the future I plan on using a tripod for the pochade box. You can read my post about how to make a pochade box at this link. If you plan ahead and have the right supplies you will have a zen-like experience when plein air painting at the beach.